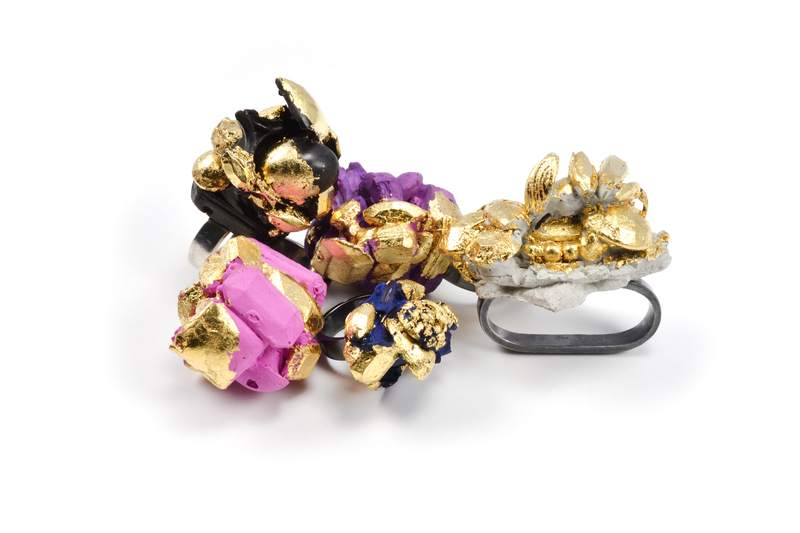 An exhibition exploring the connection between fashion & jewelry inaugurates new gallery devoted to art jewelry in Manhattan’s Meatpacking District. For Immediate Release- August 18, 2014–“Wear It Loud” is a contemporary art jewelry exhibition dedicated to exploring the ongoing conversation between fashion and jewelry and providing fashion lovers with an alternative to the jewelry regularly featured in fashion publications. Timed to coincide with Mercedes- Benz Fashion Week, “Wear It Loud” will be on view from September 4, through October 16, 2014. The show, curated by Bella Neyman and Ruta Reifen of Platforma, will inaugurate R|R Gallery located at 30 Gansevoort Street in the heart of New York’s Meatpacking District. 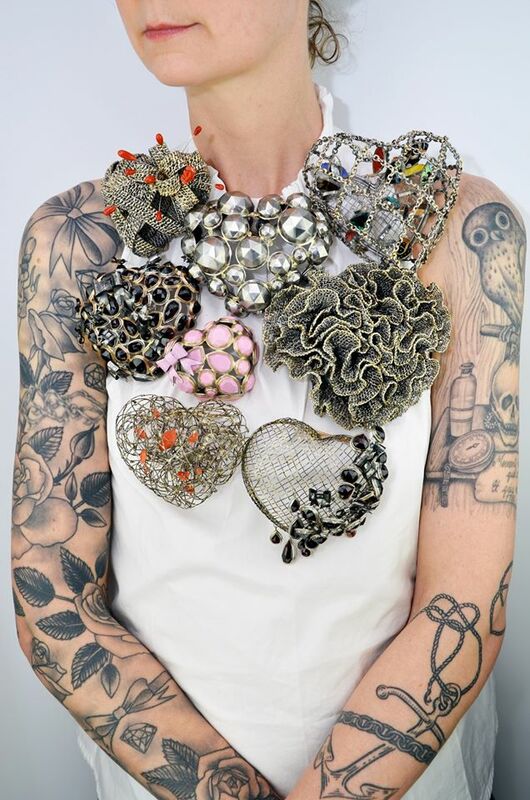 With over 50 pieces of jewelry on view, “Wear It Loud” will present the work of sixteen emerging and renowned international artists who all create unique and one- of- a kind wearable works of art. The work on display will fall into five distinct categories: artists who reinterpret vintage jewelry (most often seen in fashion editorials) through the use of nontraditional materials, artists who are inspired by the portrayal of jewelry in fashion magazines, artists who through the deliberate use of photography have created their own editorials and act as their own models or brand ambassadors, artists who subvert the logos of popular fashion houses to create original work, and artists who create jewelry that is an extension of the garment. Unlike fashion jewelry, art jewelry is driven by a concept whereas most jewelry featured in fashion editorials is not concerned with being anything other than decorative. Aside from actual jewelry, photographs will be projected onto the gallery’s walls. Featured in the exhibition will be the work of Anya Kivarkis, Ashley Buchanan, Alissia Melka-Teichroew, Cristina Dias, Denise J. Reytan, Gregory Larin, Hanna Hedman, Inbar Shahak, Johanna Törnqvist, Karin Seufert, Lola Brooks, Marge Hinge, Eunmi (Mia) Kwon, Nikki Couppe, Rebecca Hannon, and Tara Locklear. Photo credit: Lola Brooks, Photographer: Evan Morgan, Image courtesy Sienna Patti. Jewellery is largely decorative and non-functional anyhow. So art jewellery must be… bigger? …bolder? Art jewelry is generally a unique piece of jewelry.usually one of a kind or one in a very limited addition. It is also handmade with some type of art technique.